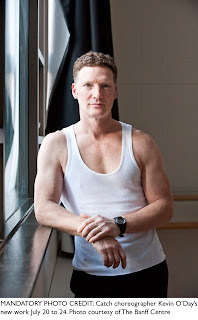 Kevin O'Day is The Banff Centre's first Koerner Foundation Distinguished Guest Artist in Choreography. He was collaboratively chosen by artistic directors whose companies will participate in the centre's Professional Dance Program this summer. The Koerner award, a new opportunity for established choreographers, complements the biannual Clifford E. Lee Award for emerging Canadian choreographers, whose 2010 recipient is Robert Stephen – a second soloist with The National Ballet of Canada. O'Day's new work will premiere in July at the 2010 Banff Summer Arts Festival.